Now that you have decided what type of business you are starting, it is time to research what type of licenses or permits are required for your type of business. Permit and license requirements vary from state to state, type of business, size, and even the location of your business. An in-home business will have different requirements than one set in its own building. An in-home business that serves the public, such an in-home child care business will require a special permit as compared to an internet business run from your home. Special licenses and permits are required for some businesses. Some of the business types requiring special licenses are those involved in selling of alcohol, firearms and commercial fishing. Those that involve transportation or importing of animals, animal products, biologics, biotechnology and plants that cross state lines require special permits issued by the U.S. Dept. of Agriculture. Others, such as Aviation, and nuclear energy have specific permit requirements. Those businesses that broadcast information by radio, television, wire, satellite or cable need to be licensed by the Federal Communications Commission. Professionals in the practice of dentistry, doctors, and those in veterinary practice are types of business owners required to be licensed showing their expertise in their field of work. 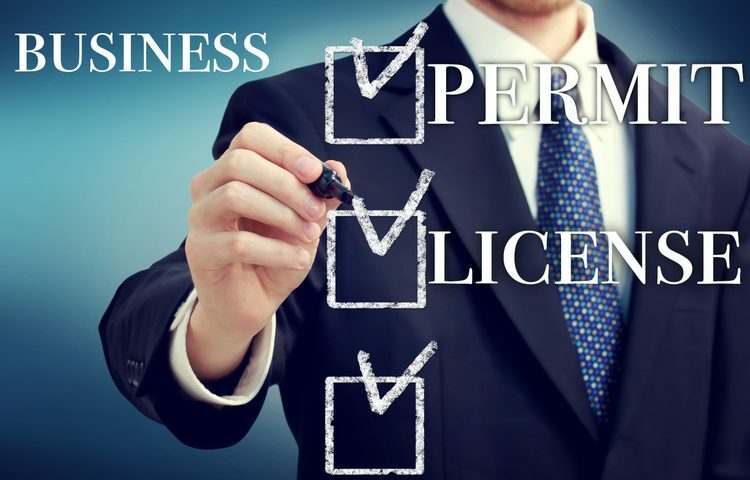 Whether or not your business fits into any of the special categories requiring specific licenses or permits nearly every business will require some type of licensing and/or permits. Knowing what your business requirements are ahead of time can save you from unnecessary fines and related legal issues later. If your business is selling goods and services you will be required to get a Sale Tax Permit and license. While the IRS does not require licenses; certain businesses are required to register for a Federal Tax ID Number in addition to registering with State and local government agencies for applicable tax permits including sales tax, income tax, with-holding and unemployment tax. Your State government offices are one source for free assistance for your business via their internet sites and offices. Upon obtaining the necessary permits or licenses required by your business make a record of all of the documents including renewal dates and retain all applications and form in your records. Display all licenses and permits as required by your state and locality. If at any time your business expands, check to see if any new permits are needed. This needs to be checked if your business adds to its physical space or when adding new products or services.